A supermoon total eclipse occurs Sunday evening, but will we see it? The confluence of three celestial events occurs on Sunday evening during "primetime" - not so late that you have to set your alarm for the wee hours to see it, but not so early that the sun interferes with viewing. Unfortunately, Mid-Southerners may have to strain to get a glimpse through a broken layer of clouds. The three events are of course a full moon, at its closest point to earth this year (making it a "supermoon") and a somewhat rare total eclipse of that supermoon. The supermoon is up to 14% larger and 33% brighter than a "normal" full moon. 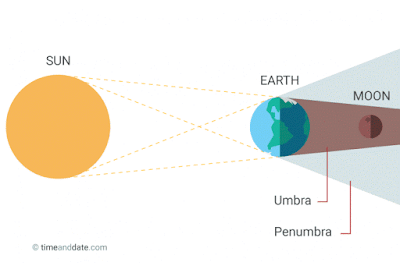 The lunar eclipse occurs when the earth, sun, and moon all line up, with the earth between the sun and moon, thereby casting it's shadow on the moon. The event is sometimes referred to as a "blood moon," as the shadow cast by earth will actually make the moon a coppery red color, not completely darken it. Diagram from TimeandDate.com showing how a "blood moon" is created. The last time this series of events occurred at the same time was 1982, and it won't happen again until 2033. The next total lunar eclipse that will be visible in the Mid-South, in case viewing conditions aren't optimal this time around, will be in January 2019. Here's a graphic showing the times the event will take place. Note that they are in Eastern Daylight Time. 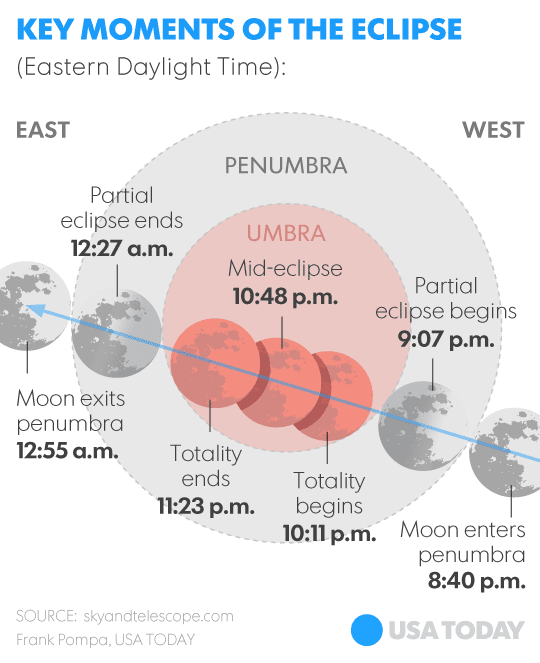 It will take place one hour earlier in the Mid-South - partial eclipse begins at 8:07pm, total eclipse occurs from 9:11-10:23pm, and the completion of the eclipse will be at 11:27pm. So what are our chances of observing this celestial trip of events? Unfortunately not as high as I would hope. I don't believe the entire sky will be overcast, but there could be enough clouds to veil the event and occasionally blot it out completely. So, you may have to check regularly to see if you can catch a glimpse. If you can't see it, you can watch a live webcast of the event at Sky & Telescope. 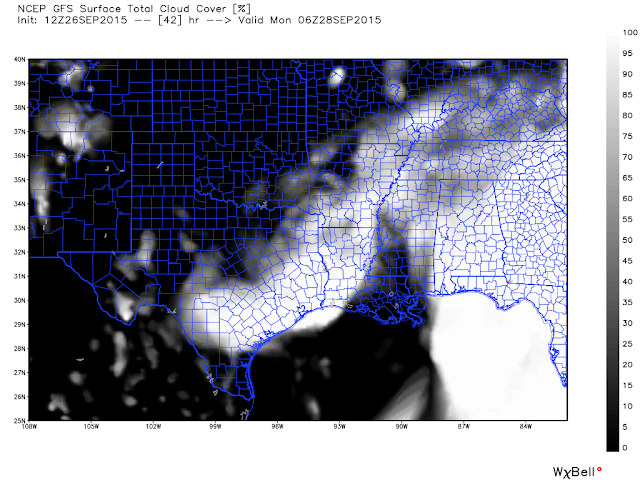 Forecast cloud cover from the GFS model for Sunday evening. You may have to check regularly for breaks in the clouds to be able to see the eclipse Sunday evening. Graphic courtesy WeatherBell Analytics. 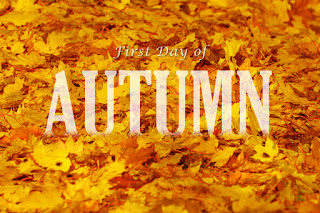 Fall officially begins Wednesday morning at 3:22am CDT! The last days of summer have been warm, though we've had some nice mornings and not unpleasant afternoons thanks to lower humidity typical of September. 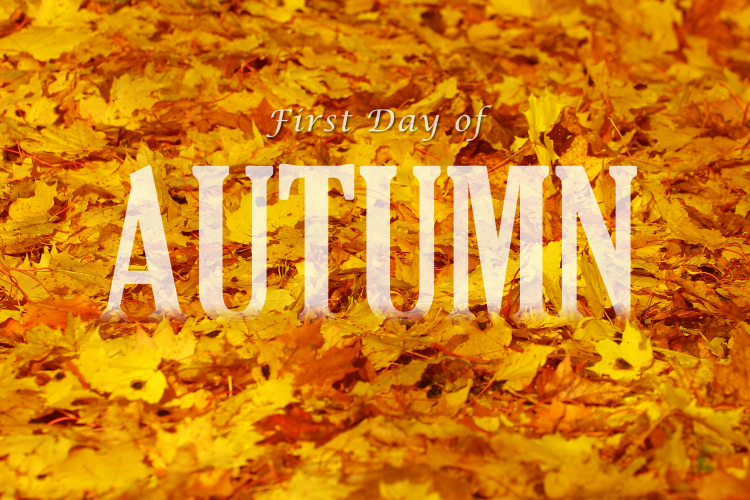 Unfortunately, Mother Nature won't necessarily recognize the official start of fall with cooler temperatures. Temperatures will remain in the mid to upper 80s for highs and 60s for lows as humidity increases a bit heading towards the weekend. A weak upper-level disturbance will retrograde (move from east to west, Crazy Ivan-style) into the area this weekend. While it will bring an increase in cloud cover, rain chances will remain minimal. A low, 10-20% chance of rain could be introduced into the forecast as we get closer to the weekend if computer models become more consistent in their depiction of light rain. Right now, they simply aren't consistent, neither between models or from one run to another. In all likelihood, most of you will not see any rain through the early part of next week. For those heading to Liberty Bowl Memorial Stadium to see the 3-0 Memphis Tigers take on conference rival Cincinnati Thursday evening, weather will cooperate. Temperatures will be in the lower to mid 80s at kickoff and fall into the 70s by the end of the game with only high clouds scattered over the city. 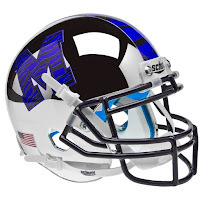 Weather should be no reason to not have a packed house at the Liberty Bowl! Go Tigers! Also, this Friday, Saturday, and Sunday is the now-annual Memphis Airshow at Millington Regional Jetport. The USAF Thunderbirds and many other aviation deminstrations will take to the sky with a mostly dry forecast it appears, though high clouds could cover the area, which could keep heat (and sunburns - but not afterburners) under control! Temperatures will reach the mid 80s in the afternoons. It'll be a great weekend for flying! Of course when you're out and about, be sure to take the MWN mobile app with you! You'll be able to monitor radar, check the forecast, and keep up with our updates on Twitter from the convenience of your iPhone or Android device. Download links are below. Do you like it hot or cold outside? This tool tells you where you should live! 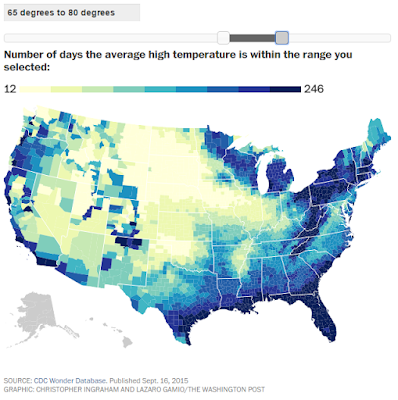 I usually don't share this type of thing via the blog, but I found this weather-based tool pretty interesting. The amount of data analysis one can do quickly and easily on the web these days is pretty amazing. This geographic tool, which I saw first on a Capital Weather Gang blog, falls in that category. 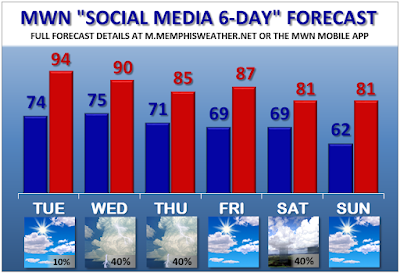 So, do you like the hot summers of Memphis and wish the heat would stick around longer? 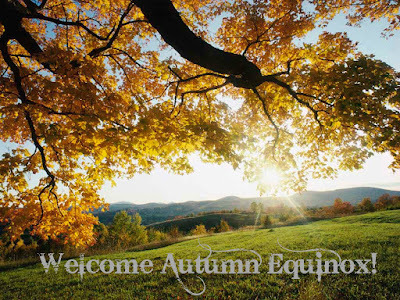 Or are you one that wishes the cooler weather of the winter would last a few more months? This map based on a CDC database will show you the climate you might best be suited for. I've included some screenshots below, but you can access the map itself and change the range to whatever you want here. For those who like days that remain below 50°, you definitely want to head north or west. Average number of days the high temperature is below 50°. Like a fair number of days that are cool, but not cold (say 50-65° highs)? Believe it or not, the interior south has nearly as many as the west coast. Average number of days the high temperature is between 50-65°. If you're like me and appreciate a good "room temperature" day, the best places to live with a fair number of upper 60s to 70s days are the Appalachians, Northeast and (believe it or not) the Gulf Coast (in the winter time!). 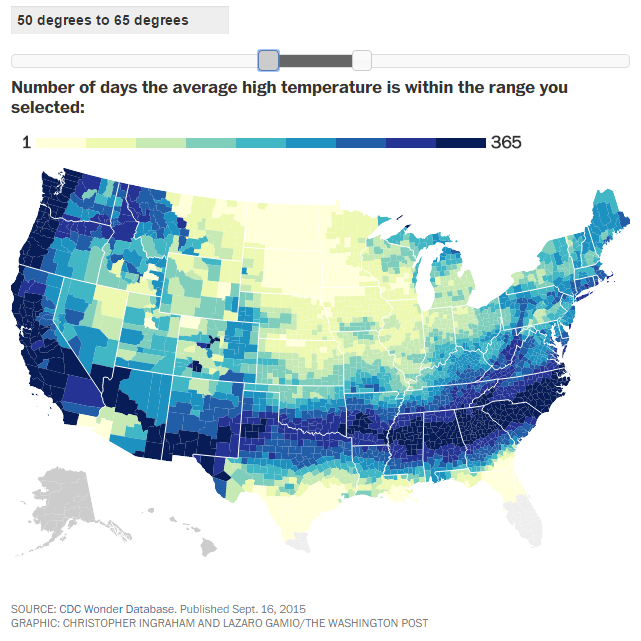 Average number of days the high temperature is between 65-80°. Like it warmer still? You'll find lots of days in the 80s in the southeast U.S. and Mid-Atlantic. Average number of days the high temperature is between 80-90°. Finally, for those who like it HOT (lots of 90+ degree days), head to Texas or the Desert Southwest! Even the Central Plains see more 90° days than the Memphis area. 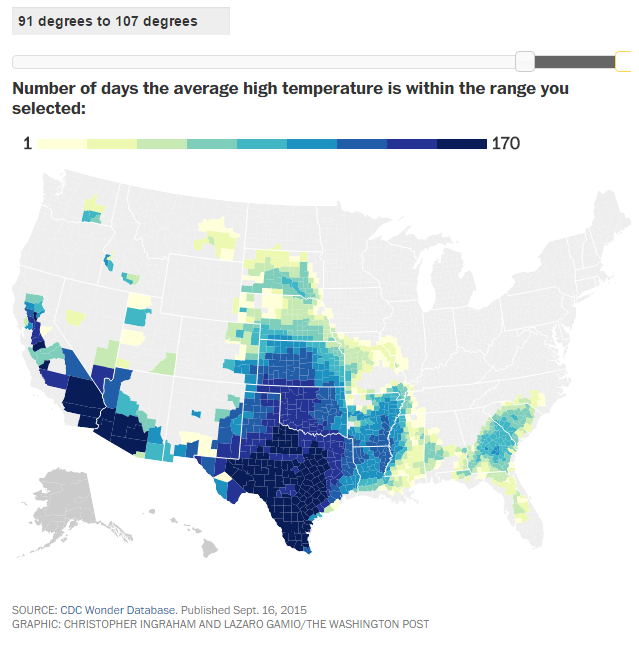 Average number of days the high temperature is above 90°. 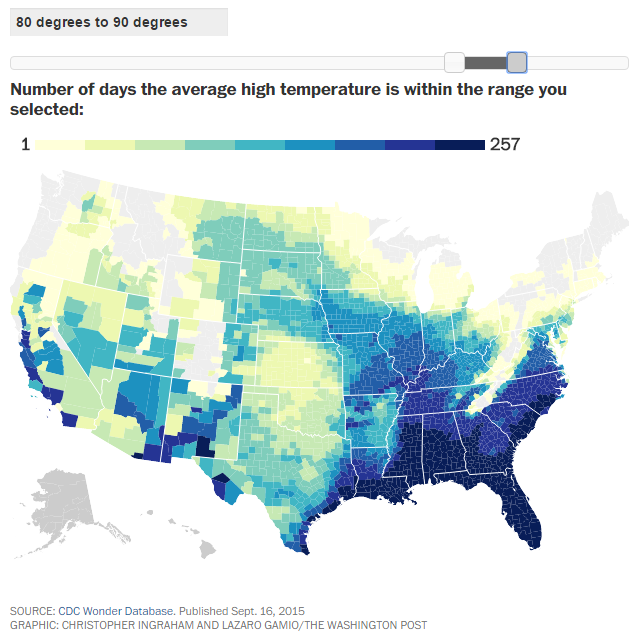 Overall, the Mid-South is a pretty good place to be to experience most of all four seasons - some cold winters get mixed in with hot summers and none of them lasts TOO long! Again, if you want to manipulate the data yourself, head to the CWG blog where I first found this. Not only is this a good post by them, but they pretty much rock weather coverage in general! The Mid-South experienced a WONDERFUL taste of fall this past weekend with temperatures that bottomed out in the 40s in outlying areas and highs that peaked in the 70s. A bit of a moderating trend began early this week and the past couple of days have seen warmer temperatures once again, but at least the humidity has remained in check. Heading into the third weekend in September, as daylight hours slowly diminish, sun angles lower, and the official start of fall draws closer, we're going to experience PERHAPS our last 90° days of the year. Friday and Saturday will both see highs near 90° with slowly increasing dewpoints (humidity). 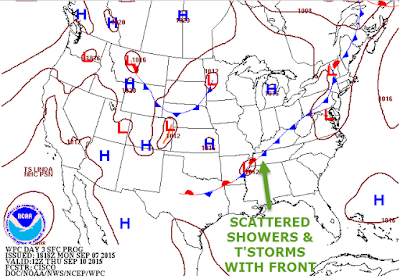 However, another fall front approaches and will move through the metro late Saturday. Rain chances are minimal with the front though (we currently have a 20% chance of rain Saturday) and severe storms are NOT expected. 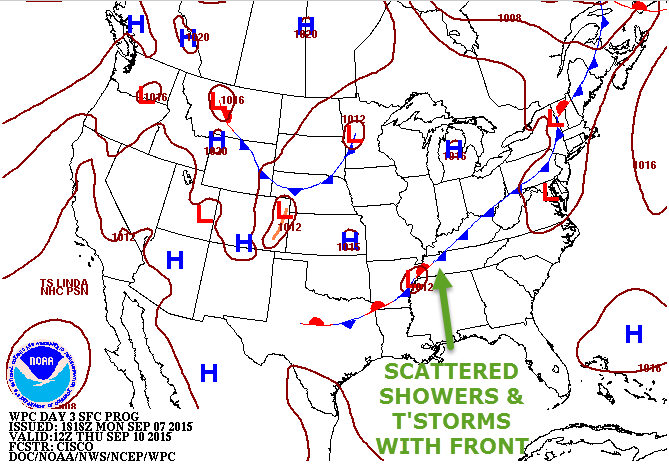 The surface map for 7pm Saturday shows a cold front draped over the metro but minimal rain chances. The front will bring cooler temperatures for the back half of the weekend and early next week. Graphic courtesy NWS. To end the weekend, the front will be to our south with cooler temps - closer to 80° than 90° - on Sunday. An upper level disturbance will move in behind the front and could bring a few showers late Sunday into Monday. It appears by Tuesday and into the middle of next week, high pressure regains control aloft, pushing any rain chances east and helping to push temperatures back to near normal levels in the mid 80s. Fall arrives on Wednesday at 3:22am! The long-range outlook calls for a higher than average chance of above normal temperatures for the second half of September and better than even odds of below average precipitation. I'm just glad that "above normal temps" doesn't mean mid to upper 90s anymore! On average, our highs are right at 80° at the end of September. The outlook from the NOAA for the last week in September shows about a 50% chance of above normal temperatures (above) and higher than even chances of below average precipitation (below). 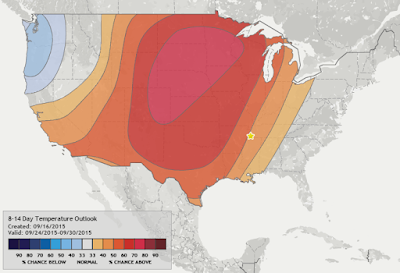 Graphics courtesy CPC/NOAA. Finally, a couple of "fall" cold fronts arrive this week! I hope everyone had a great Labor Day holiday weekend, despite the heat and humidity! This weekend unofficially marks the end of summer and the weather is only a couple of days away from being right on cue. One more day in the mid 90s with a heat index pushing the century mark is expected Tuesday. As with the last few days, a pop-up "airmass" shower is possible anywhere, but 98% of you won't see a drop. On Wednesday, the cold front we've been dreaming of, and mentioning, for about a week draws closer. By afternoon, expect scattered thunderstorms to move from our northwest into the metro. The chance of severe weather looks to be fairly low though as the upper level dynamics won't be sufficient to produce more than a brief gust of wind that is typical with storms that move into a very warm airmass. Highs will probably reach the 90° mark. Showers and thunderstorms will remain possible into Wednesday night as the front moves into the metro. This will be the best chance we have had to see widespread rainfall in some time. Surface map showing fronts and pressure systems, valid Thursday morning. One front is over the Mid-South while a secondary shot of cool air is behind the cold front over the northern Plains, diving south. Map courtesy NWS. On Thursday, the cold front moves the rest of the way through the region with a chance of showers or a thunderstorm lingering. Temperatures should top out in the mid 80s with a good deal of cloud cover. This front won't be the one that makes the biggest difference in humidity however. After a mostly dry day Friday with highs in the mid 80s, a reinforcing front moves into the area Friday night and Saturday. Computer models now paint a decent chance of showers with this front as well, especially late Friday night into Saturday morning, though our confidence in exact timing and rain amounts remains below average on this front. 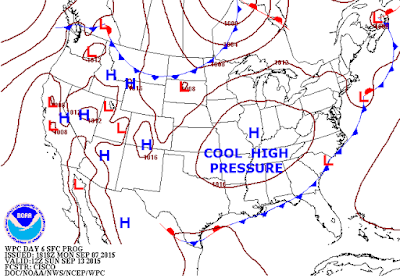 Surface map showing high pressure building into the region this weekend. Map courtesy NWS. By Sunday and Monday, the fronts are well to our south and cool high pressure takes over from the north. And that means FALL weather! Low humidity, abundant sunshine, and below normal temperatures are expected both days with a fair amount of 50s in the mornings and highs probably in the 80-85° range. Definitely something to look forward to after some hot days to start September! Temperatures were above normal the past few months but that trend reversed itself in August with a slightly cooler than average month, despite reaching 98° for the highest temperature of the month. 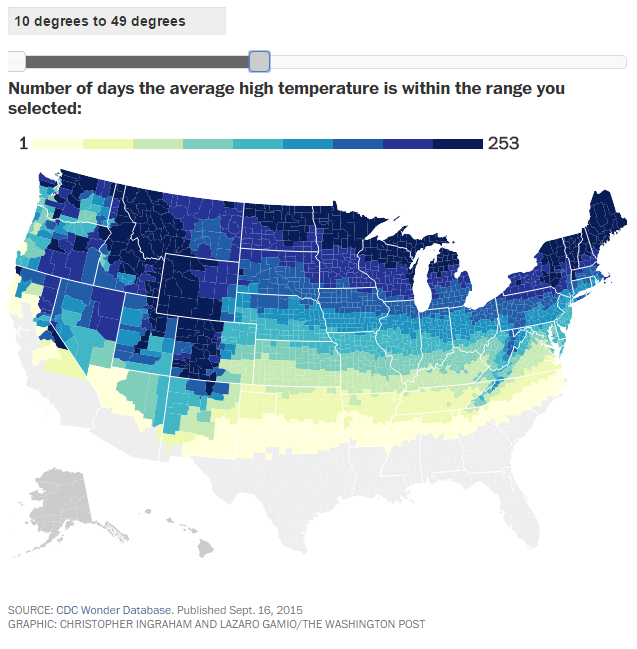 In fact, most of the month saw daily temperatures within a few degrees of average (above or below), but a several days of well below normal temperatures from the 20th-28th contributed to the below normal monthly average. Precipitation was above average for the driest month of the year climatologically, but was concentrated on just a few days. Rainfall of 2.61" on the 5th (a daily record) was about 1/4" short of the normal precipitation for the entire month. Through August, Memphis International Airport continues to narrow its annual rainfall deficit, which now stands at just 1.41", or about 96% of normal. 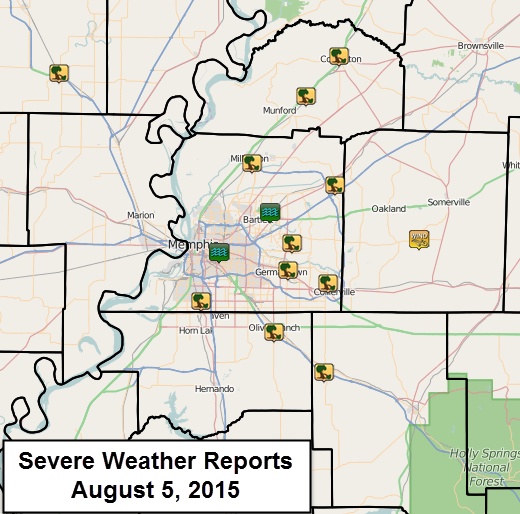 There was one severe weather day in August, which was the 5th. This day recorded the highest official wind gust for the month as well as record rainfall. Thunderstorms downed trees and power lines and heavy rainfall produced some areas of flash flooding in the metro. 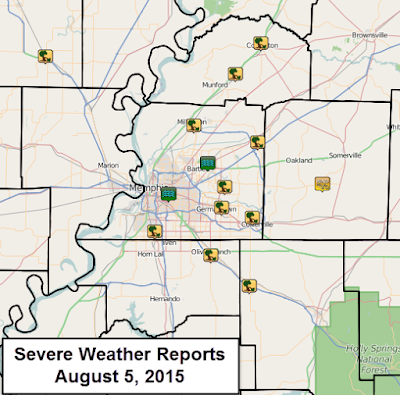 Severe weather reports received by NWS-Memphis on August 5, 2015 in the metro. Tree symbols are downed trees, Green/blue symbols are flash flooding. Comments: With just 3 days of rainfall above 0.5" and a record rainfall on the 5th, overall the month was dry despite the monthly total being above normal. Though "meteorological summer" ended on August 31, Mother Nature isn't paying any attention to the calendar as summertime conditions continue well into September. We've started off the month with a couple of days in the 90s and, unfortunately, the long-range forecast includes many more as we head into the Labor Day weekend, also the opening weekend of the college football season. The weather pattern is dominated by an upper level pattern more akin to mid-summer than early fall as a ridge high pressure aloft encompasses much of the eastern, central, and southern U.S. This ridge, as evidenced in the video loop below by the light red/mauve colors, looks to morph a bit over the next 10 days but generally it remains fairly well entrenched across a good part of the U.S. 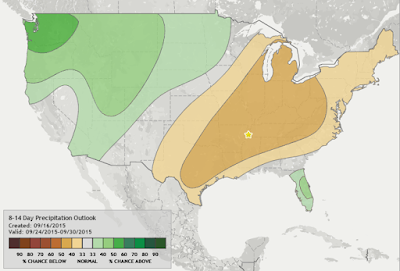 This will mean continued above normal temperatures for at least the next week with very low rain chances. Video above shows a loop of the next 10 days of upper level [18,000'] heights as forecast by the Wednesday mid-day GFS model. Mauve/light red colors are high pressure, which sticks around for much of the next week or more. 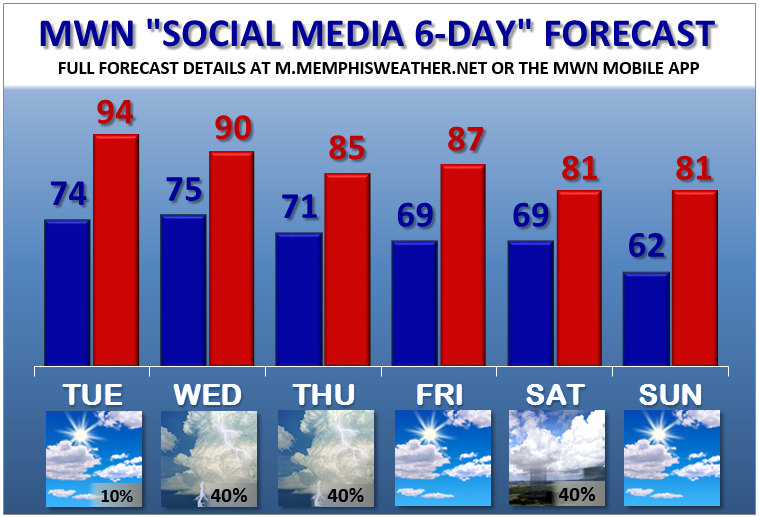 As for the beginning of the Delta Fair this weekend, Labor Day celebrations, and the kickoff to the Memphis Tigers football season on Saturday evening, expect heat to build, resulting in high temperatures in the mid 90s during the afternoons (low 90s at kickoff at Liberty Bowl Memorial Stadium on Saturday) and low to mid 70s for early morning lows from now through early next week. A couple of days ago I thought a cold front may push through early next week, but that scenario looks to be delayed by at least a few days, so 90°+ weather could last well into next week. Rain chances will be no better than the isolated thunderstorms that happened to form right over the city on Wednesday afternoon. Hang in there though - once this heat breaks, I expect it'll be downhill into autumn! We'll just have to wait a little longer than some of us might like! For the complete MWN Forecast, check out our mobile apps (links below) or click here for our mobile-formatted forecast page. NOAA total rainfall estimates through Labor Day are very low - almost nothing.